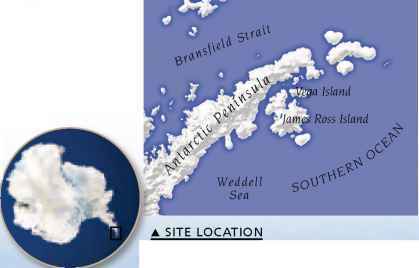 Antarctica has many islands, most of which lie close to the mainland, as do James Ross Island and Vega Island. They are almost fully covered in snow and thick ice, but both have small areas of ice-free ground where fossils are found. Less than one percent of Antarctica is bare rock. James Ross Island and the smaller Vega Island nearby lie off the northern coast of Antarctica, at the tip of the Antarctic Peninsula. In 1986, fragments of a Late Cretaceous ankylosaur skull and armor plates were collected on James Ross Island. 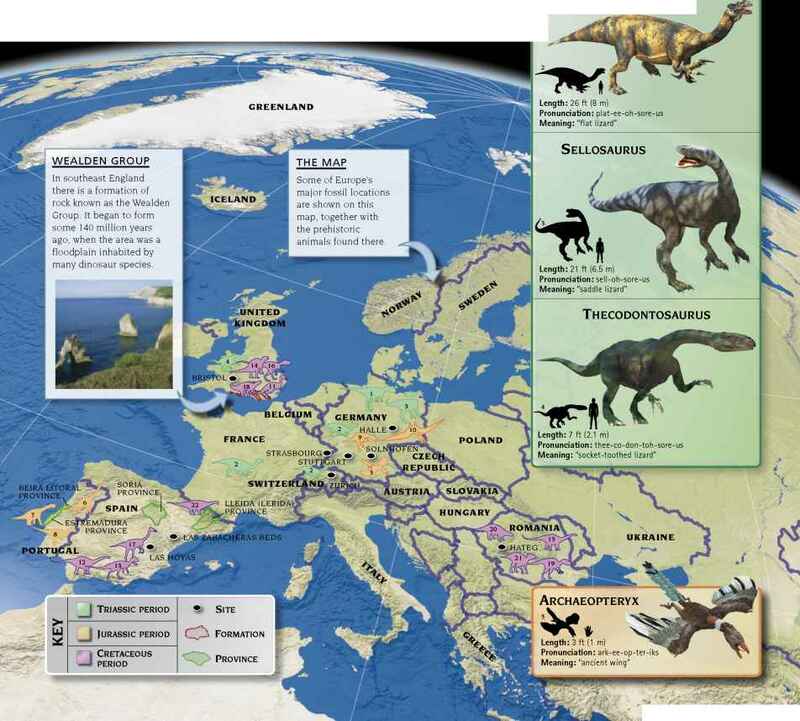 Like all other dinosaur fossils found on Antarctica, not enough material survived to enable a positive identification, which is why the specimen does not have a scientific name. It can only be assigned to its family group.